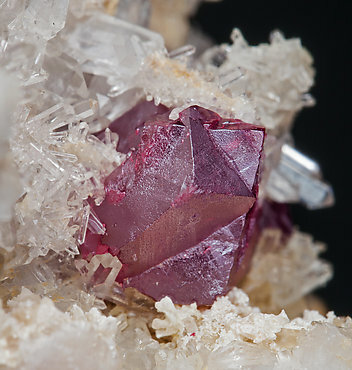 EA90AI4: Very sharp rhombohedral Cinnabar crystals with very well defined faces and the interpenetration twin. 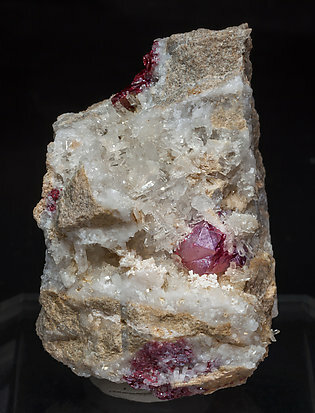 They have a very vivid color and are on matrix with small Quartz crystals. This specimen has an extraordinary quality for the locality, well known for the species but where good Cinnabars are rare.